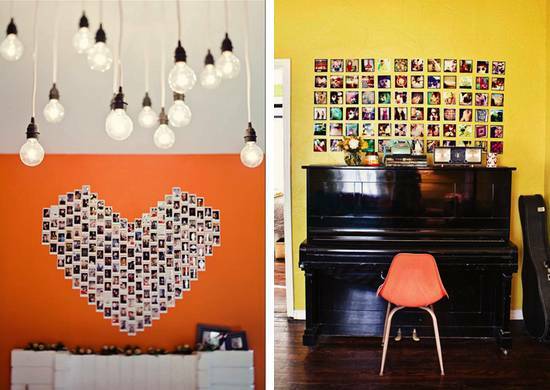 Do you have a favorite way you like to display your photos? Share it in the comments below. [Images 1, 6, and 11 found via Meg Ruth] Meg's Pinterest board, Display Thursday, has quite a few cool artwork/photo display ideas. Pam. I saw that one too and plan to try it. Just have to get a photo printed in black and white. I saw one the other day where you submerge a photo into a mason jar full of cooking oil. It magnifies the photo..and gives it a sepia tone. They also put lavender sprigs behind the photo before screwing the lid on. They said it lasts forever..